The report, published today by Edinburgh-based OneKind, says that scientists believe fish are “sentient”, suggesting that their response to pain and other stimuli is remarkably similar to that of mammals, including humans. The Ferret reported on 6 August that OneKind had drawn up a league table assessing the welfare standards of farmed fish. We also published an investigation that found leading supermarket chains were stocking fish from firms accused of poor animal welfare. Apart from welfare recommendations for the fish themselves, the report also says the shooting of seals which attack salmon farms should be banned, as should be the use of acoustic deterrent devices which can scare the seals away but which also impact on whales and dolphins. In response to questions about fish welfare, the chief executive of the Scottish Salmon Producers Organisation, Julie Hesketh-Laird, said: “Scottish salmon farmers rear their fish to the highest welfare standards and on the basis that fish in their care are capable of feeling pain, an underlying reason why the industry takes its welfare responsibility so seriously. Overall the industry lice averages for March of this year were the lowest since July 2014 and the underlying trend is downwards, she said. Seal shooting is declining and acoustic deterrent devices have no impact on species other than seals, she argued. 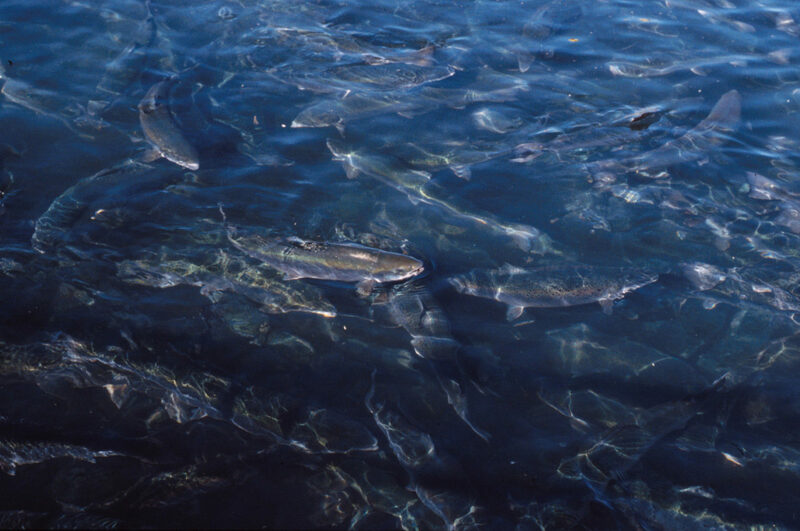 When questioned about salmon welfare, Marine Harvest, whose Poll Na Gille fish farm in Argyll topped the league table of farms with poor welfare indicators, argued that fish health and welfare was at the heart of successful Scottish salmon farming. OneKind has launched a petition for a moratorium with partners the Scottish Salmon Think Tank, Save Seil Sound and the Scottish Aquaculture Reform Network. This story is part of an investigation into fish farming funded by Eurogroup for Animals in Brussels via OneKind, under an agreement giving The Ferret full editorial control. Photo thanks to US National Institute of Standards and Technology.